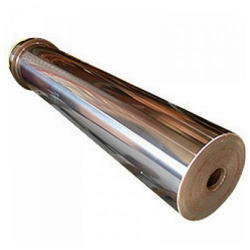 Leading Manufacturer of hard chrome rolls from Mumbai. Hard Chrome Rolls offered can be made available in different lengths as well as in option of different diameters as per the specific usage needs of different machines. These rolls are designed and developed to provide for longer service life and can also be made available in OEM construction choices as demanded by the customers.